Basketball New South Wales held their annual awards on the 18th of November, 2018 at Qudos Bank Arena during the WNBL & NBL double header featuring the Sydney Uni Flames & Sydney Kings. BNSW would like to congratulate all nominees and award recipients on their achievements and for joining us to celebrate. Congratulations to Maddison Thacker from Hornsby Ku-Ring-gai Basketball Association on being awarded the Scoretable Official of the Year. An anchor for all of the Hornsby Ku-Ring-gai Spiders during the Spalding Waratah season, Maddison has been a wonderful asset for the club and BNSW. She continues to improve her skill set and mentors new officials when ever called upon at her association. A constant figure at State Finals over the last few years, in 2018 Maddie was given the opportunity to be on the beach for the Youth Leagues Women’s final, U20 & Ivor Burge Championships, NBL pre season, Women’s National Wheelchair Basketball League and she also lended a hand during the Invictus games. Madie most recently has been added to the WNBL panel for the 2018/19 season which demonstrates her hard working character and dedication to the role. Congratulations to Trish Nicholls from Hills Basketball Association on being awarded the Scoretable Official of the Year. In 2018 Trish Nicholls was appointed as a team leader for the Commonwealth Games stats crew. This role not only represents the high esteem that Trish is held in, by the basketball community in terms of her stats knowledge and skills, but it also reflects her dedication and commitment to the sport. In this role, she assisted with the selection and then training of the stats crews who worked games in both Cairns and the Gold Coast. Trish is an active member of both the WNBL and NBL technical official panels. In these roles she not only fills positions on the stats bench but she also is often used as a touchstone to evaluate other statisticians and make decisions about further education and training required for others on the panel. As the stats coordinator for the Waratah Championship League, Trish plays a crucial role in supporting and ensuring that quality stats are delivered across the league. Trish has made a commitment to develop and provide a pathway to statisticians working the Waratah Championship League and this commitment bore fruit and was clearly evident during the Finals series. Trish’s leadership and commitment to stats development in NSW, NSW continues to lead the country in numbers of licensed, trained and active statisticians. In 2018 Trish has represented FIBA Oceania, running stats courses in Samoa, Fiji, and New Caledonia. This essential support she provides enables these Oceania countries to develop groups of people who can confidently deliver statistics for various tournaments. The relationship she has established with many of our close island neighbours is considerable; they trust her patience and expertise and she demonstrates a genuine desire to help and support them in their basketball endeavours. 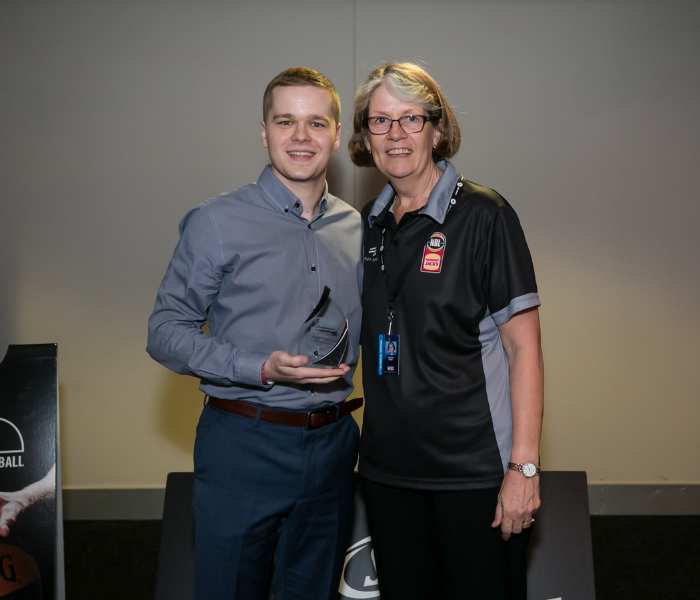 Trish is a valued and admired member of the basketball community and the work and time she has invested into stats has been significant and is worthy of recognition through this award. Basketball New South Wales is pleased to announce our 2018 Referees of the Year. The award is split into three categories, in direct relation to the Spalding Waratah League competition. On behalf of Basketball NSW, congratulations to all our award recipients.